We’re continuing our series of running playlists by BPM with this heart pumping 160 BPM running playlist. The 160 BPM range is really mostly found in rock and metal music. It’s fast, fun to run with and really energizing, but not too fast so that you run out of breath after 5 minutes. I’ve used this BPM range to break some time and pace PRs and I’m sure you’ll do great with it too. This list is 44 minutes long, so plenty of time for a 5k, and has an average BPM of 165. Also, don’t forget to check out the running playlist iPhone app where you can get new songs and running playlists directly to your iPhone. My friends from @milanomarathon asked me a while back if I could put together a running playlist for their upcoming marathon. Of course, I don’t speak any Italian, nor am I familiar with the Italian music scene, but why should that stop me from trying, right? Turns out that finding good Italian music with a high BPM is much harder than you might think…. When I started searching for Italian music, most of the stuff I got was the kind of music you hear in the background when you go to an Olive Garden (a cheesy US Italian chain restaurant – good food though, love their minestrone soup…). Obviously, not something you’d want to run with. But after a few hours of work, I managed to get a pretty decent list of songs. I even found some that I liked for my personal running playlist (especially the Laura Pausin songs). This list is 41 minutes long, not a marathon playlist by any means, but enough to give you a start, and it averages at 133 BPM. As I mentioned earlier, I don’t speak or understand Italian, so if these songs are offensive or too cheesy, I apologize in advance. For those of you running the Milano marathon, buona fortuna! Well, I can finally share this now! Running Playlist has gone mobile and I now have an iPhone app in the apple app store. This app takes the music on this website into the mobile world and cuts out the PC as the middleman for all your running playlist needs. Running Playlist to the rescue! Just like in the site, the new running playlist app has tons of songs listed by BPM to address all your running needs. Not only can you find songs or entire playlists by BPM, you can also find them by event type. So if you need a playlist for a fast 5k and you realize that 10 minutes before the run starts, all you need to do is launch the app, tap the “5k” icon, and there you have it, 100′s of songs and playlists for you to choose. The folks at Apple liked this app as well, and it’s now (as of yesterday) featured in the new and noteworthy section in its category. Also, I would really appreciate if you share this with your friends, so we can get this app out to as many runners as possible. No reason for them to run with boring music, right? St. Patrick’s day is coming up soon, and i thought this would be a perfect time to to put together an irish themed running playlist. Irish music is usually lumped into the “drinking song” category, and true, this music is great as pub music, but it’s hard to ignore the greatness of irish music and the influence it had on genres like country and rock. In fact, if some of the songs in this running playlist woulnd’t have the bagpipe in them, they’d be hard to distinguish from bluegrass music. 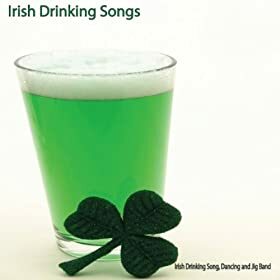 In any case, the playlist i put together today has a nice selection of drinking songs, some instrumentals, and just regular music from ireland (no U2…) that has a good BPM for a running playlist. This list is 27:36 minutes long with an average BPM of 130. This week, we have one of the most basic kind of music for a running playlist. This week’s running playlist is set in a 120 BPM range, it’s the lowest useful BPM for a running playlist, not that it’s bad or anything, but if you run with this list, you’re not going to be pushing your limits. The 120 BPM range is still a good BPM to run to during recovery runs, or if you just want to just jog in a relaxed pace. The good thing about this BPM range is that there are a bazillion songs at this range as this is a very popular range for many pop songs. This list is 51 minutes long, so if you use it for a 5k, you’ll have plenty of time to relax and enjoy the music. I tried to pick a good variety of songs to keep this list interesting rather than stick to the top 10 list, so I hope you enjoy. Over the past few weeks, I’ve been going easy on you, and posting slow running playlists, but this is going to change. This week’s running playlist is a tough one. Starting at 142 BPM (so make sure you warm up before the run) and going up to 176 BPM, you’re going to have to run hard to keep up. I thought of doing this list as a 5k list, since the average BPM of 153 isn’t easy to follow for a long run, but I know you’re tough and can take a high BPM on a 10k as well. From a pace perspective, this running playlist isn’t too bad. It’s 1:18 hours long, which means that if you want to use it for a 10k, you’ll have to keep a pace of 12:35 min/mile, not too bad indeed. This week’s 5k running playlist is very rock heavy. I didn’t want to make it too “rocky” so I also threw in some pop songs and some music that is on the border of rock and pop. 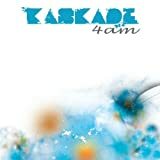 This list is 1:06 hours long, and has an average BPM of 135. This is running playlist isn’t too fast and it’s long enough to run a 10k if you really want to use the whole list. Y.M.C.A. 03:45 Village People 127 Disco Gold Pop Y.M.C.A.